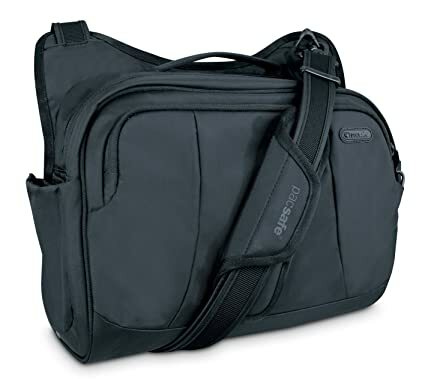 Combining clean, structured lines with sturdy material and contemporary hardware, the Metrosafe 200 GII anti-theft shoulder bag from Pacsafe offers a wealth of security features to provide peace of mind as you make your way around town. It also features a number of organization options and a protective sleeve for an iPad. 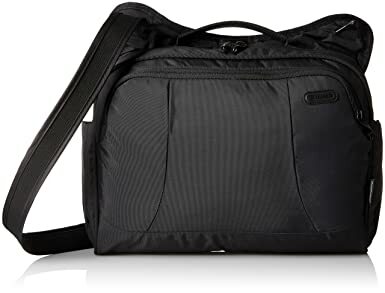 Combining clean, structured lines with sturdy material and contemporary hardware, the Metrosafe 250 GII anti-theft shoulder bag from Pacsafe offers a wealth of security features to provide peace of mind as you make your way around town. It also features a number of organization options and a protective sleeve for an iPad. The metrosafe series is an undisputed classic. This line brings together contemporary hardware and colours with clean, structured lines, sturdy material and built-in anti-theft technology. 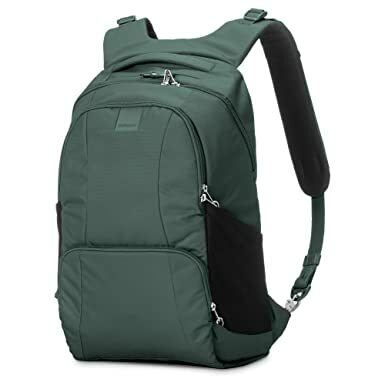 The revamped Metrosafe LS350 anti-theft 15L backpack from Pacsafe stays true to its classic design heritage, while providing functionality and seamlessly integrated security technology. 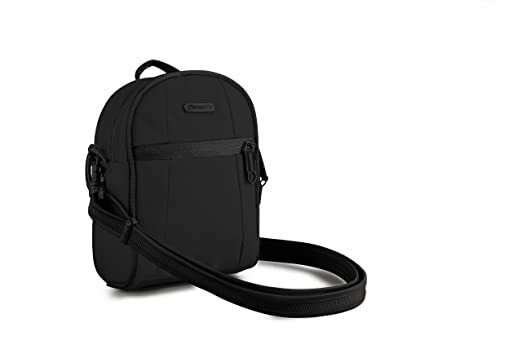 Combining clean, structured lines with sturdy material and contemporary hardware, the Pacsafe Metrosafe 150 GII anti-theft cross body sling bag offers a wealth of security features to provide peace of mind as you make your way around town. It also features a number of organization options and a protective sleeve for an iPad. 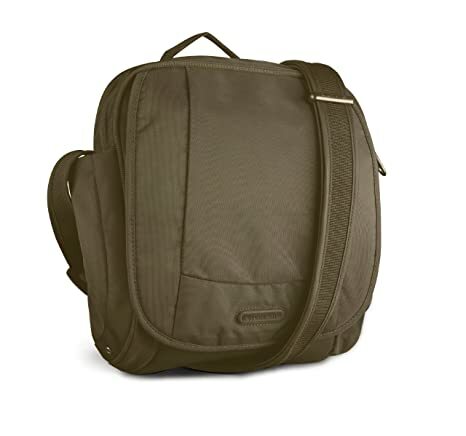 The revamped Metrosafe LS140 Anti-Theft Compact Shoulder Bag from Pacsafe stays true to its classic design heritage, while providing functionality and seamlessly integrated security technology. 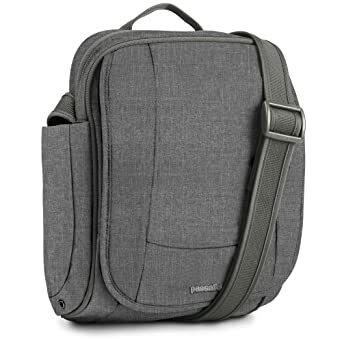 The revamped Metrosafe LS120 anti-theft hip pack from Pacsafe stays true to its classic design heritage, while providing functionality and seamlessly integrated security technology. 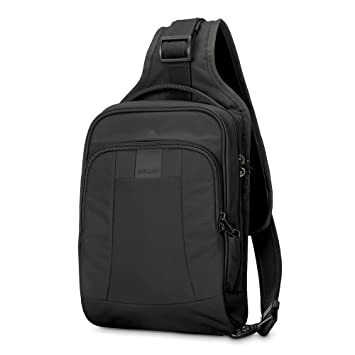 The revamped Metrosafe LS150 anti-theft sling backpack from Pacsafe stays true to its classic design heritage, while providing functionality and seamlessly integrated security technology. 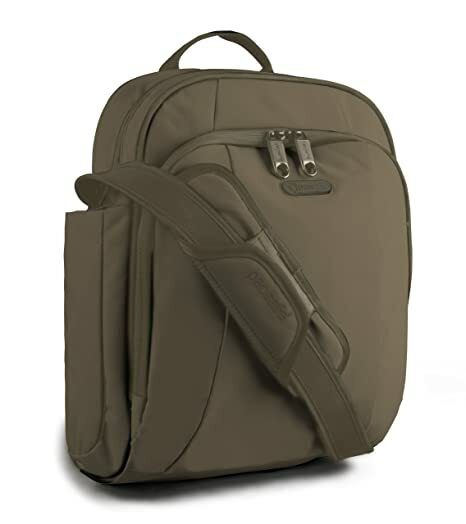 The revamped Metrosafe LS450 Anti-Theft 25L Backpack from Pacsafe stays true to its classic design heritage, while providing functionality and seamlessly integrated security technology. 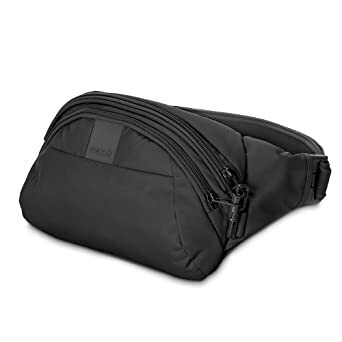 The bag’s fabric is embedded with eXomesh slash guard, a lightweight flexible, stainless steel wire mesh that protects your gear from a quick slash-and-run theft. 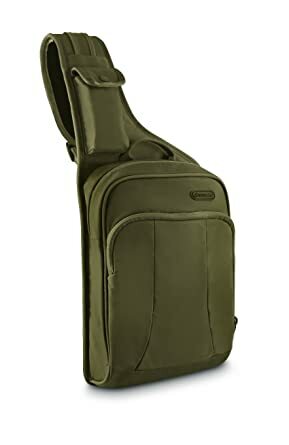 Flexible, stainless steel wire runs through the adjustable Carrysafe slash guard shoulder straps to help prevent slashers from slicing through and running off with your gear, while the Turn & Lock Security Hook attaches the bag to a fixture for added security. The Lockabout Security Clip and Smart Zipper Security provide multiple layers of protection and lockdown points for zippers to help protect against pickpockets. The RFIDsafe blocking pocket helps prevent your data (such as from e-passports, credit cards, and key cards) from falling into the wrong hands.